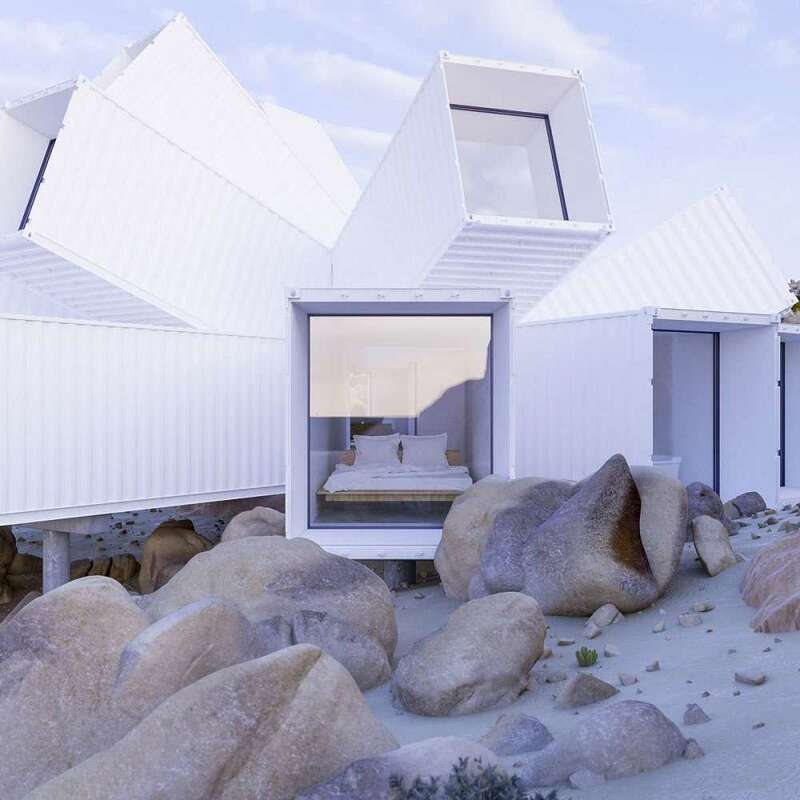 Architect James Whitaker either turned a dozen plus shipping containers into an Everlasting Gobstobber, or his design for a house to be built in Joshua Tree is a big ol' tumor. Get a load of...what's that, Arnold? It's naaht. It's naaht uh tooomuh. ... It's Caleeforneea. 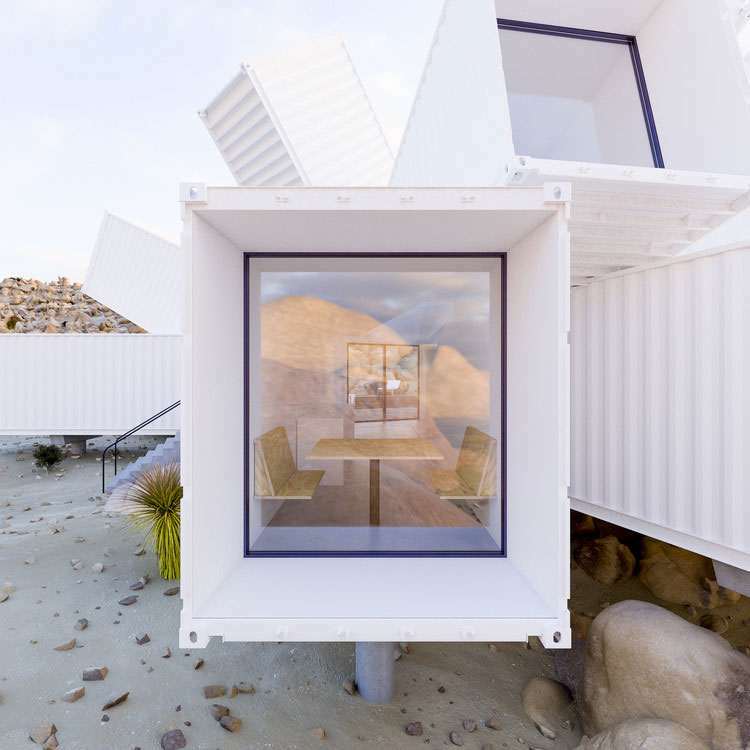 Whitatker's burst of industrial cargo carriers in this shipping container home isn't just dramatic, and a little apocalyptic-looking, it's also right on trend. Already this year we've seen how shipping containers can make a great mother-in-law, detached office, or full-on efficient home in Honomobos, and a super sweet swimming pool in Modpools. 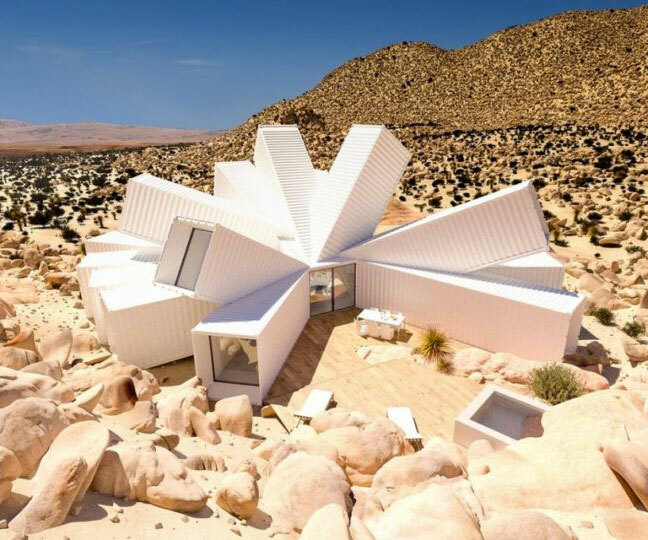 The Joshua Tree Residence adds luxury living and possible architectural masterpiece to shipping containers' ever-expanding repertoire. Slated to break ground (or just stack on top of it?) in 2018, the Joshua Tree shipping container home will have 2,150 square feet of interior bends, jags, and tunnels. It will include a kitchen, living room, dining area, 3 bedrooms, a wood deck, and a hot tub, amongst other amenities. In addition to wackiness, the home's design aims to attract tons of natural light and max out views of the otherworldly Joshua Tree desert landscape.